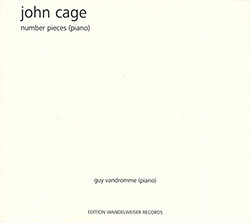 John Cage wrote his "Number Pieces" in the last years of his life, using his time bracket technique of short fragments allowing the performer flexibility in interpretation; each piece is titled for the number of performers and its ordinal position in the series, and most pieces are dedicated to a musician; here pianist Guy Vandromme performs three of the "One", or solo, series. 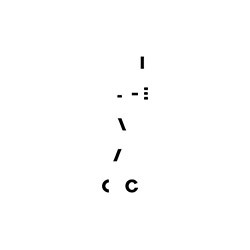 One of a handful of John Cage's number pieces, this work for two pianists follows the forms of Renga poetry, composed with 36 lines of music, each containing 5 measures, and each line having 31 events occuring in the sequence 5-7-5-7-7, with the pianists allowed their own tempo but waiting to synchronize each measure, as performed by Mark Knoop and Philip Thomas. 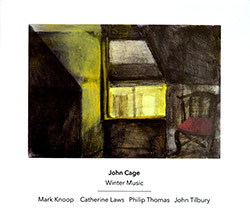 John Cage's 1957 composition in a visceral realisation for four pianos, played by John Tilbury, Philip Thomas, Mark Knoop and Catherine Laws, using chance procedures to assign each of the pianist's five of the twenty pages of the score, the pianists agreeing on an overall duration of 40 minutes and preparing their parts independently, performed without rehearsal. 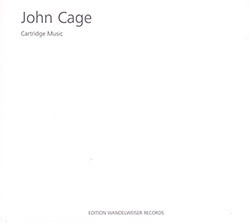 A 2003 recording from The Ensemble Daswirdas performing John Cage's 1960 composition "Cartridge Music", described as: "For amplified small sounds; also amplified piano or cymbal; any number of players and loudspeakers; parts to be prepared from score by performers." The Ensemble Daswirdas performs John Cage's "Branches" composition, which is based on a previous work, "Child of Tree", but here each performer plays an 8 minute variation of that work, which is performed on amplified pods, cacti, and other plant materials. 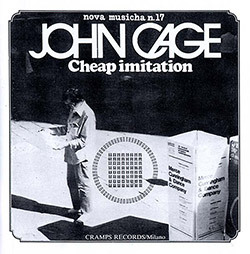 A 1989 reissue of the 1977 Cramps release from their Nova Musicha series, this album is a piece for solo piano by John Cage, composed in 1969, an indeterminate piece created using the I Ching and based, rhythmically, on Socrate by Erik Satie. 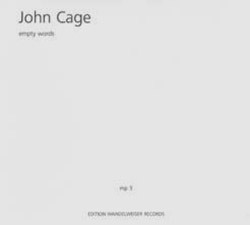 John Cage's "Empty Words" (1974) is drawn from the Journals of Henry David Thoreau, written in four parts: Part I omits sentences, Part II omits phrases, and Part III omits words. 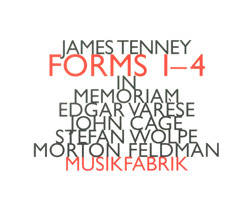 Part IV, which omits syllables, leaves us nothing but a virtual lullaby of letters and sounds. 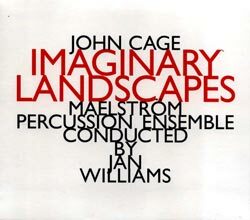 Early compositions from John Cage performed on accordion by Edwin Alexander Buchholz and violin by Joanna Becker, presenting "Dream" (1948); "In a Landscape" (1948); "Six Melodies" (1950); and "Souvenir" (1983). 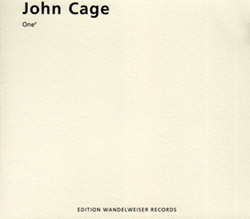 Edwin Alexander Buchholz performs this beautiful work by John Cage on accordion, originally written for the Japanese sho, where sounds are single tones and chords, up to six part harmonies, or as Cage wrote, "sounds brushed into existence as in oriental calligraphy". 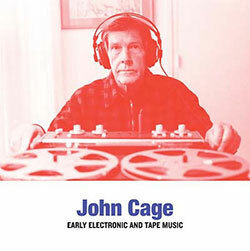 Langham Research Centre performs the early electronic works of John Cage, using tape machines, phonograph cartridges, contact microphones, record players, portable radios, &c, to accurately recreate these ear-opening and forward-thinking conceptual works. 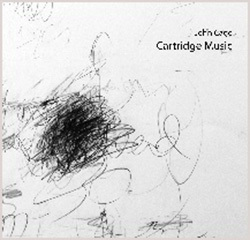 Cartridge Music was composed in 1960 and is one of Cage's earliest attempts to produce live electronic music, here realized at a live performance at the Audiograft Festival in Oxford in February 2012. 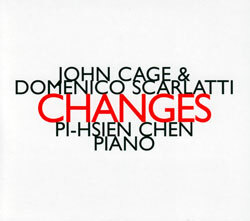 Pianist Pi-Hsien Chen performs both the playful and quirky sonatas of Domenico Scarlatti juxtaposed to John Cage's I Ching developed compositions, "Music of Changes", which complement each other in unexpected and sublime ways. 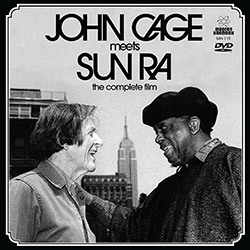 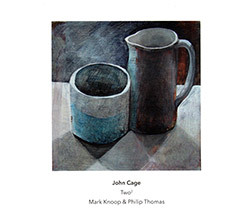 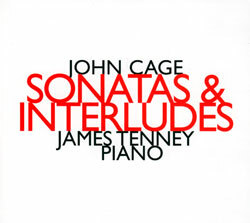 John Cage composed these 20 sonatas and "interludes" from 1946-1948, unique and inventive compositions for conventional and prepared piano, which noted Cage interpreter James Tenney recorded in 2002. 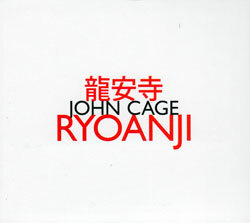 21 years after visiting the sparse rock and sand garden Ryoan-ji (Peacful Dragon) in Kyoto he wrote this piece, here in a remastered and redesigned 2nd edition. 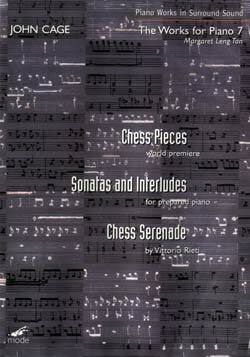 DVD-audio disc of Cage's piano works "Chess Pieces" and "Sonatas and Interludes" peformed by Margaret Leng Tan, with 3 documentary videos, and Vittorio Rieti's "Chess Serenade".